Nokia has released their Play To app to the Windows Phone Marketplace, the app was previously in beta and it is now available for Nokia’s Lumia Windows Phone smartphones. 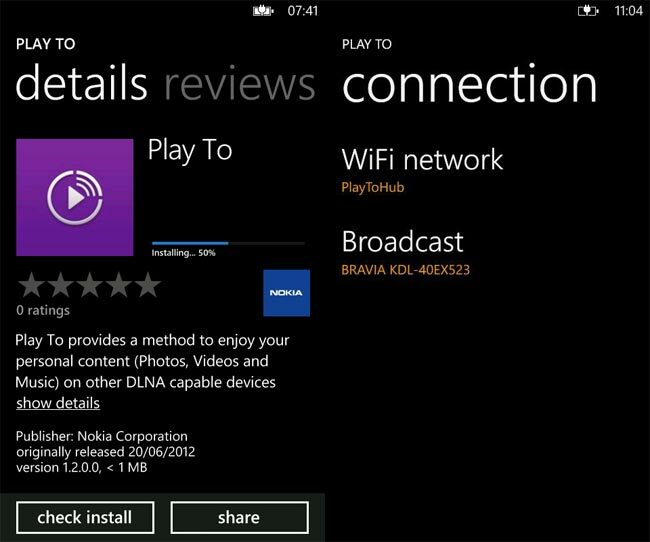 The Nokia Play To App will allow you to stream content via DNA from your Nokia Lumia smartphone to any compatible DLNA device like HDTVs and more. The Nokia Play To app is now available as a free download from the Windows Phone Marketplace and it should work will all of Nokia’s Lumia devices.